. استمتع بالخدمات الراقية والضيافة التي لا مثيل لها بهذا الفندق في جولد كوست. يقدم الفندق فرصة للاستمتاع بشريحة واسعة من الخدمات بما فيها: تسجيل وصول/خروج سريع, تخزين الأمتعة, واي فاي في المناطق العامة, صف السيارات, رعاية أطفال . ادخل إلى واحدة من الغرف 200 وتخلص من عناء نهار طويل بمساعدة مجموعة كبيرة من الخدمات كمثل تلفزيون بشاشة مسطحة, اتصال لاسلكي بالإنترنت, غرف لغير المدخنين, مكيف هواء, مكتب الموجودة في بعض الغرف. كما أن مجموعة الخدمات الواسعة الموجودة في الفندق لضمان راحتك تترك لك الكثير من الخيارات لقضاء وقتك أثناء فترة إقامتك. مهما كانت أسبابك لزيارة جولد كوست، فإن Freshwater Point Resort هو الخيار الأفضل لإقامة مثيرة وممتعة. Prices are high in Broadbeach so I picked this place because it was close to the conference centre where I was attending an event, and reasonably-priced. In hindsight I would have preferred a regular hotel, because the apartments here are not cleaned unless you arrange it in advance, and you are expected to take out your own rubbish and do the dishes before you leave. The apartments are simple and look a little worn and tired, with stained carpets, but they are perfectly adequate. I appreciated having a bathtub. The TV in the bedroom and the hairdryer were not working, once I reported it they were fixed immediately but it would have been better if everything had been checked over before I checked in. The facilities are nice and the free light breakfast is a nice touch. Staff were really helpful, though reception is not manned after 5pm. A good 'budget' choice as long as you understand what you are getting. My stay was outstanding. I didn't want to leave! Almost everything is good. Only two things: the 1 bedroom is quite spacious but the TV is too small for the room. The second thing is, when my friend asked for more coffee and milk for the room we were quite surprised and disappointed to find out that hotel policy is if you want more you gotta pay. For few sachets of coffee? Really? It was our first family getaway with our two sons that are under two and it was an awesome stay at Freshwater. We loved everything about it from the service to the view to the pool. Freshwater is a great hotel and I will recommend it to family and friends. Thank you for making our family feel at home. Loved it. Great staff. Great rooms. The staff was more than helpful in accommodating my early check in request. 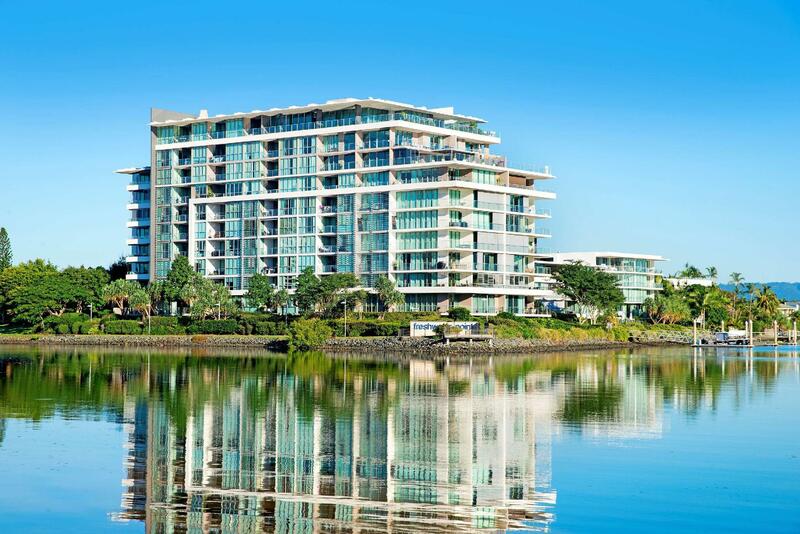 The hotel is located several blocks away from the broadbeach main attraction, a quick walk away from public transportation. On of the best accommodation during my 3 weeks tour of Australia. A great place to stay with family. 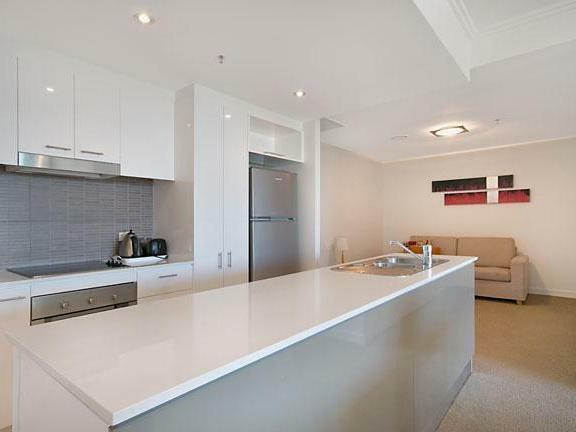 Clean and spacious apartment, great location and good facilities. Enjoyed a swim and spa, use of gym and came and went as we pleased as everything is within walking distance. highly reccomend, this is a wonderful hotel with great facilities. 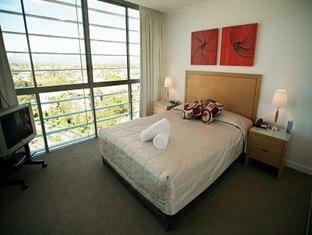 I had a comfortable stay , the rooms are large and have a nice modern styling . I felt there was a shortage of kitchen equipment such as microwave dishes and serving bowls but Im sure they can fix that. Location great near many things. this is a great place to stay for young families and is convenient to all the gold coast attractions including both the beach and hinterland regions.we have stayed previously and will stay again in future. i love the place and the great locations. 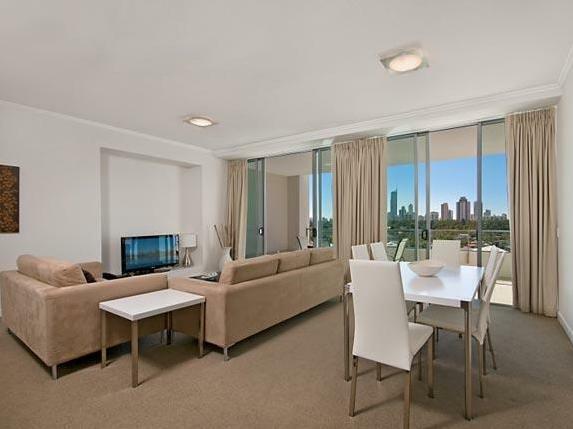 it is located very close to the broadbeach area and close to casino. the facilities the hotels has is great for my kids, the pool is nice, and i love how the apartments has the pool and gym facilities and most of it, it has the bbq areas which is a great thing to have in the resort! the room we had was right on the canal so got lots of sun. the size of the unit was just right as we had an extra guest.the staff were pleasant and helpful and arriving in the evening was a simple event to getting into the hotel.